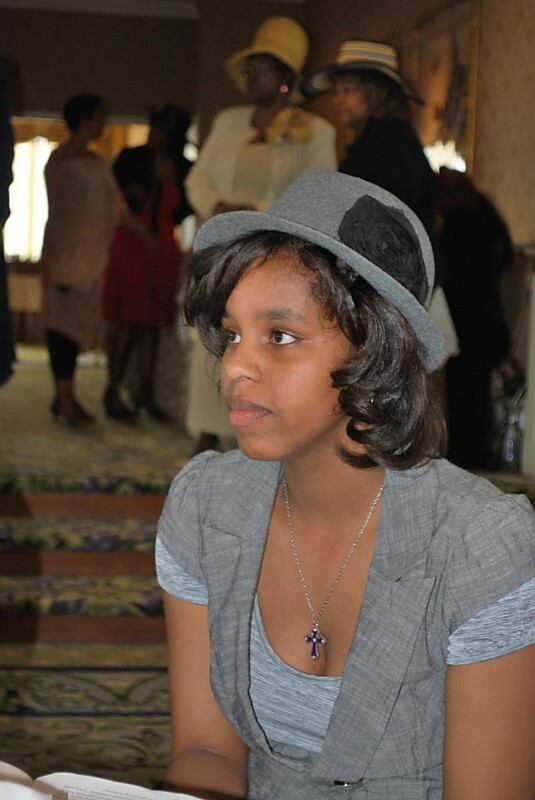 at annual Golden Girls Hats & Gloves Tea, March 3. 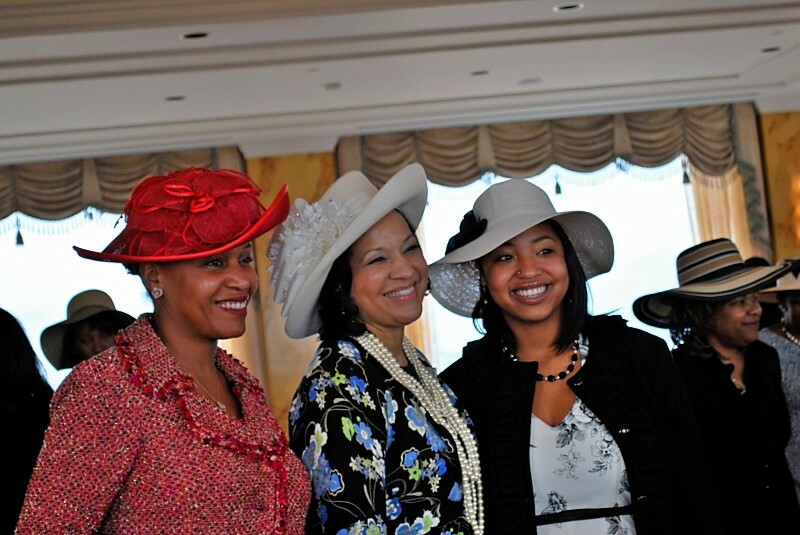 San Francisco- During Women's History Month and the SF 100 Black Women in San Francisco Weekend, The National Coalition of 100 Black Women San Francisco Chapter will host the 7th Annual "Golden Girls Hats and Gloves Tea-Bridging the Generations," Saturday, March 3, 2012 at the historic Fairmont Hotel in San Francisco. The keynote speaker will be Naomi Kelly, the first Black City Administrator for the City of San Francisco. Mayor Edwin Lee, San Francisco's first Asian Mayor will be in attendance to present a proclamation for the event. Other dignitaries including former San Francisco Mayor Willie L. Brown Jr. have confirmed their attendance. Key sponsors are: Academy of Art University, California Pacific Medical Center, Lennar Urban, Goodwill Industries, and KPIX/CW Bay Area TV. The San Francisco Chapter of the National Coalition of 100 Black Women is making a national multicultural call to action to attend the National Coalition of 100 Black Women in San Francisco Weekend, March 2, 3, and 4, 2012. Everyone is welcome. 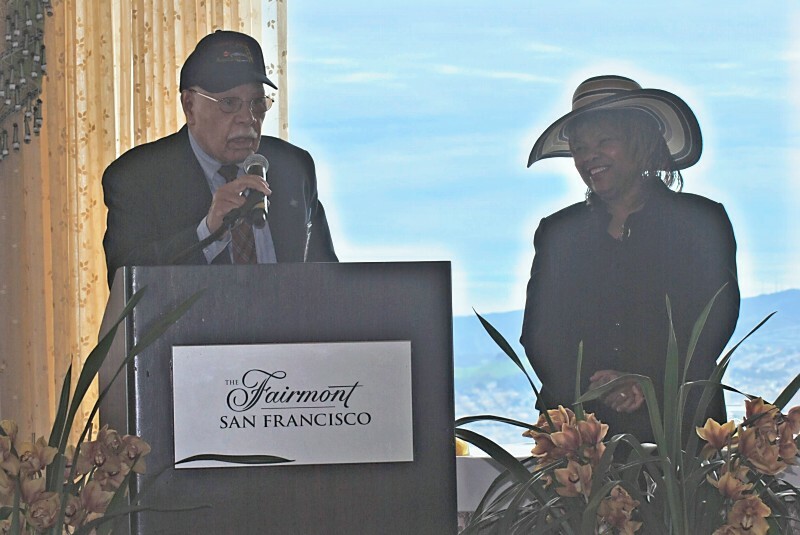 Also, The San Francisco Chapter developed a unique "Bridging the Generations Employment Training Opportunity" surrounding the annual event and continues to seek funding for the project. This year's event will include the announcement of a $150,000 education partnership with a local university. "We are so appreciative of all of our sponsors for making this another successful event. Our new partnership with the Academy of Art University and their $150,000 in scholarships will help us move forward with our educational goals for young people. And we are so pleased that Naomi Kelly who was appointed to be City Administrator by Mayor Edwin Lee on February 7th is our keynote speaker. Ms. Kelly is responsible for 20 departments and a budget of over $450 million. 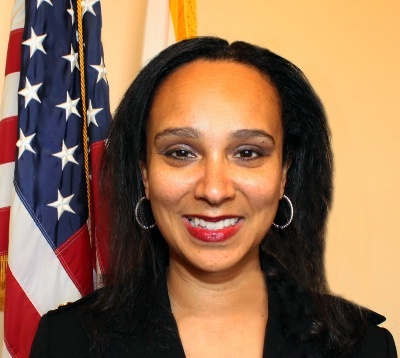 Her appointment is affirmation of San Francisco's multiculturalism. 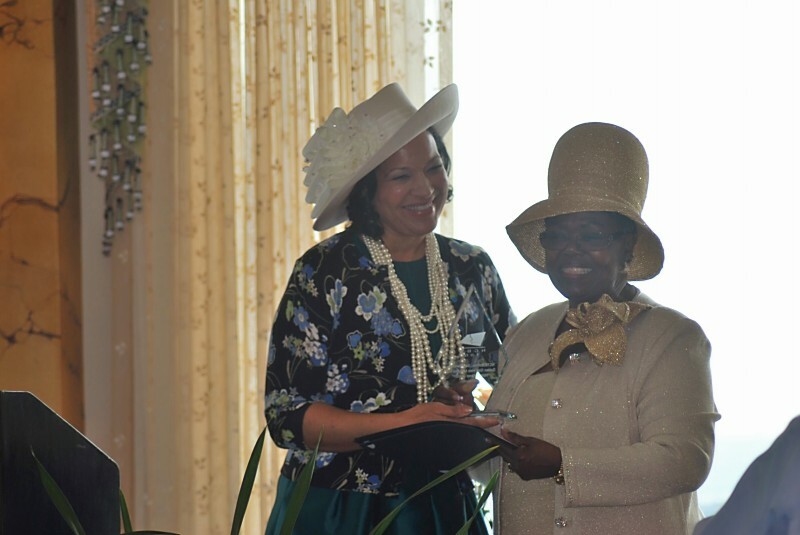 The annual tea allows us to share some positive news and insights our neighbors may not always see and hear in the media as we also celebrate unsung heroes," said Dr. Maxine Hickman, President of the San Francisco Chapter. 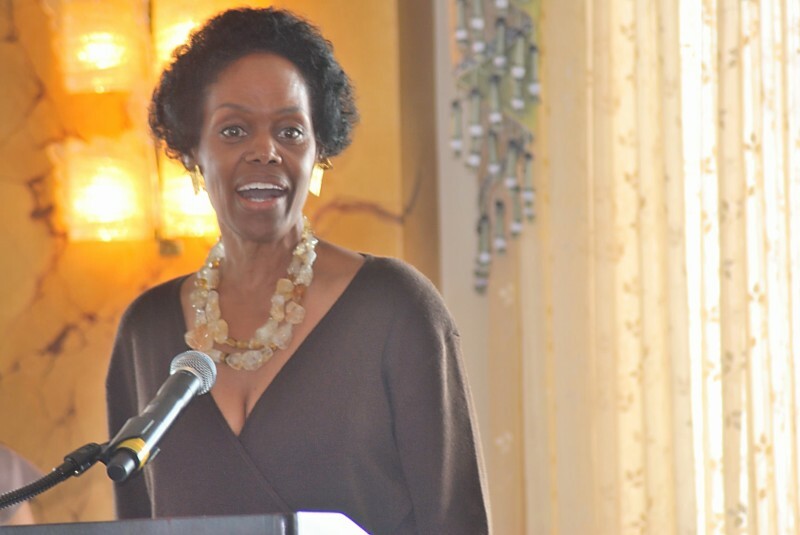 "We are pleased that Evelyn Perkins, Associate Director-Finance at Kaiser Permanente is this year's Event Chairperson. has a candid moment with political and community leaders. "San Francisco is a great place for initiating cultural exchanges. It is where the United Nations started! Also, Bridging the Generations Employment Training Opportunity" launched at the 2011 event where I was honored to be keynote speaker, is an example of out of the box thinking. 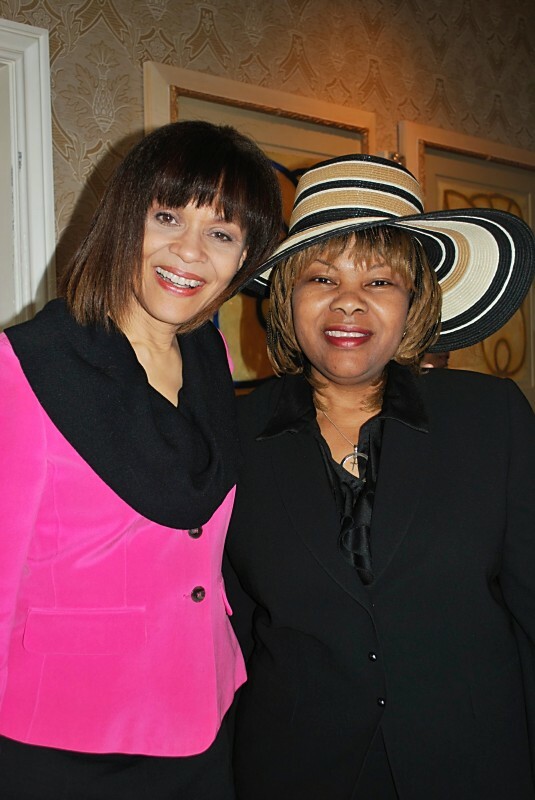 Our national organization is now using it as a model for other chapters," said M. Delois (Dee Dee) Strum, National President, National Coalition of 100 Black Women. "The tea is an annual reminder of the cultural richness of San Francisco and the ever present need for people to engage each other in order to create harmonious communities." 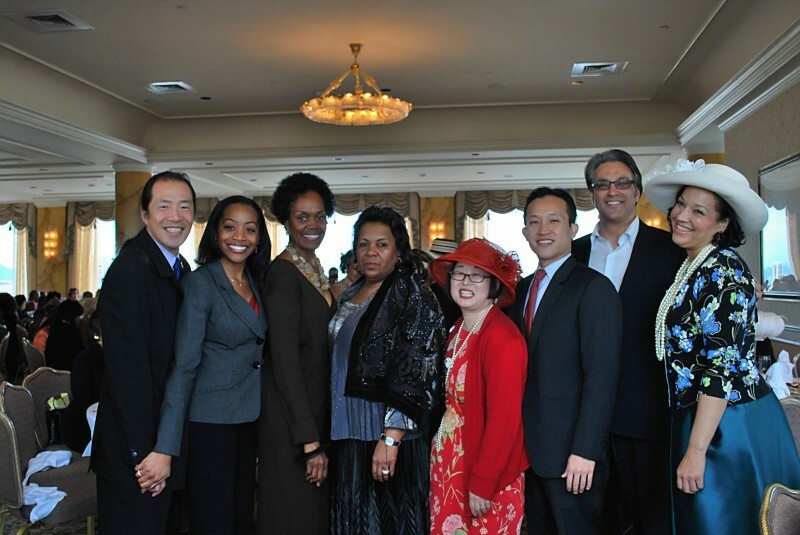 San Francisco Chapter founder and President Emeritus I-Lee Murphy-Reed shares aspects of the ongoing multicultural theme; "During last year's tea, Assemblyman Leland Yee joined us, along with Supervisor David Chui, Supervisor Malia Cohen, Former Supervisor and now Sheriff Ross Mirkarimi, Asian Week Publisher Ted Fang and Syndi Seid founder and CEO of Advanced Etiquette World Wide presented the history of "High Tea," said Murphy-Reed. Janice Edwards interviews Jerry Seinfeld. Award-winning Talk Show Host Janice Edwards of Bay Area Vista TV and former NBC 11 Public Affairs Director and former Host of KBHK's (Now CW Bay Area) Black Renaissance will be Mistress of Ceremonies. This year's honorees are: The Honorable Teresa Cox, Trade Advisor to the Obama Administration will receive the Trailblazer Award; The Honorable Malia Cohen (SF District 10 Supervisor) will receive the Advocacy Award; Karen Lewis will receive the Entrepreneur Award, Cassie Cook will receive the Community Service Award, Gloria M. Jackson, MD will receive the Health Service Award, Dr. Kimberly Mayfield Lynch will receive the Education Award and Leona Bridges, of the San Francisco Metropolitan Board of Directors will receive the Golden Girl Award. California State Center Leland Yee, Former San Francisco Mayor Willie L. Brown Jr., Republic of Indonesia Consul General and Mrs. Asianto Sinambela, Republic of Korea Deputy Consul General Sungwook Hong, Consul General People�s Republic of China in San Francisco, Yanlai Wang, wife of Consul General Gao Zhansheng, Consul General People's Republic of China in San Francisco,Vice Consul Yang Zhao and Salvador Enriquez, Minority Business Development Agency U.S. Department of Commerce, are confirmed guests of the Honorable Teresa Cox, Trade Advisor to the Obama Administration, who is among the honorees at the 7th Annual "Bridging the Generations" Golden Girls Hats & Gloves Tea during the National Coalition of 100 Black Women in San Francisco Multicultural Weekend. 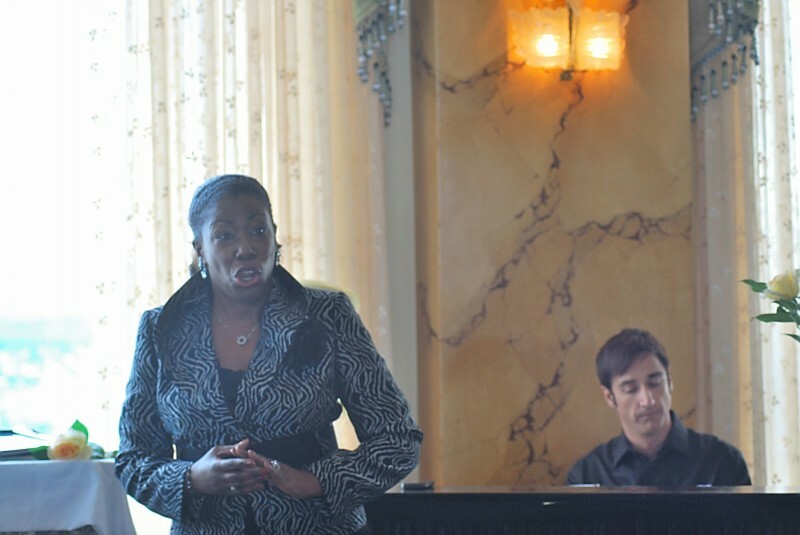 Entertainment for the tea will include piano virtuoso, Ricardo Scales and Opera Diva, Hope Briggs. 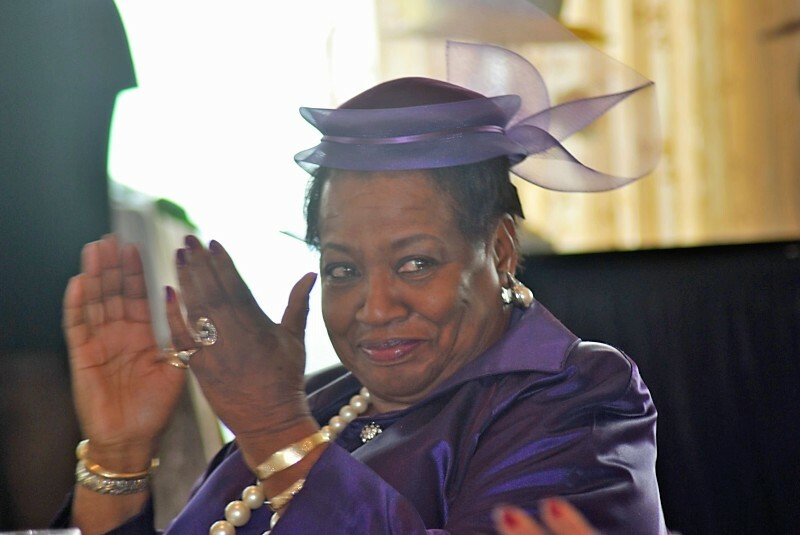 2011 honorees were: former San Francisco District 10 Supervisor Sophie Maxwell, Alma Jackson, Karen Clopton, Savanna Smith Althea Carrie, Marie De La Parra, Arlene Hylton, and Edna James. The Multicultural 100 Black Women in San Francisco Weekend will include a night at the Lorraine Hansberry Theatre to see "Blue/Orange" on Friday, March 2nd featuring Carl Lumbly of Alias, Cagney and Lacey and Men of Honor fame; the annual tea at the Fairmont, Saturday, March 3rd and attendance at Bethel AME Church on Sunday, March 4th as they celebrate their 160th Anniversary in San Francisco. A tour of San Francisco will be made available for those visiting and Bay Area residents who want to be reminded of why they love San Francisco. Click Here for Details of Evening at the Lorraine Hansberry Theatre. Click Here for Weekend Schedule. SF NCBW extends special thanks to CBS 5/CW Bay Area for the development of public service announcements heralding the weekend. CLICK HERE TO SEE PSA. For ticket information visit www.ncbwsf.org. Limited sponsorships are still available. For sponsorship opportunities for the job training program or sponsorship packets for the tea email Jackie Wright at Jackiewright@wrightnow.biz. Leroy F. Gillead speak about his book "The Tuskegee Experiment and Tuskegee Airmen 1939-1949." M. Delois Strum in both Spanish and English. It was a joyful day full of smiles and applause. Executive Producer for Black Renaissance. 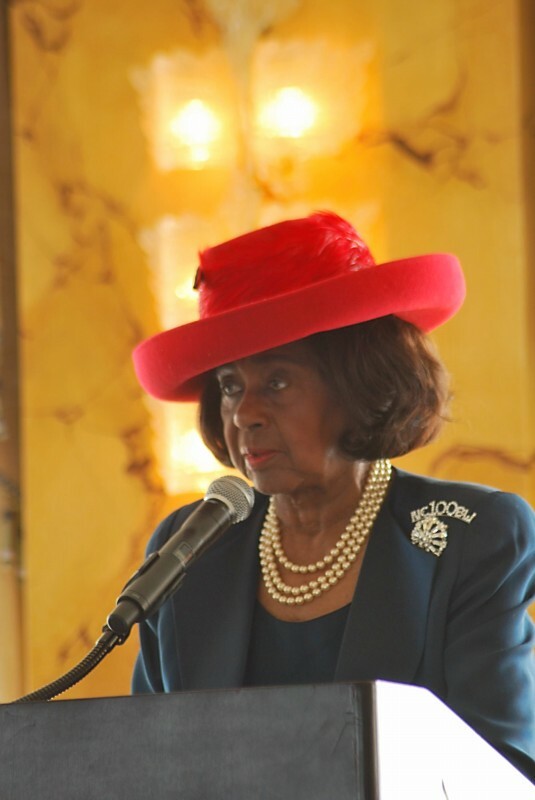 Click link below for photos from the Multicultural 100 Black Women in San Francisco Weekend 2011-including opening Reception at the Museum of the African Diaspora graciously attended by MoAD Executive Director Grace Stanilaus and photos of the "Golden Girls Hats and Gloves Tea."